These Sterling Silver Square Dress Studs are an amazing way to add a splash of creativity to this traditional and sophisticated design. 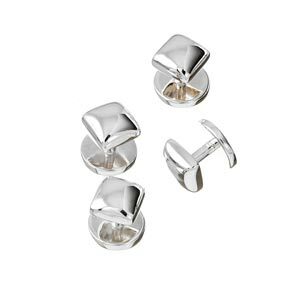 Our stunning cufflinks are certain to attract attention to your whole attire at any formal occasion. Pair up with Murray-Ward Square Classic Cufflinks for the perfect ensemble.